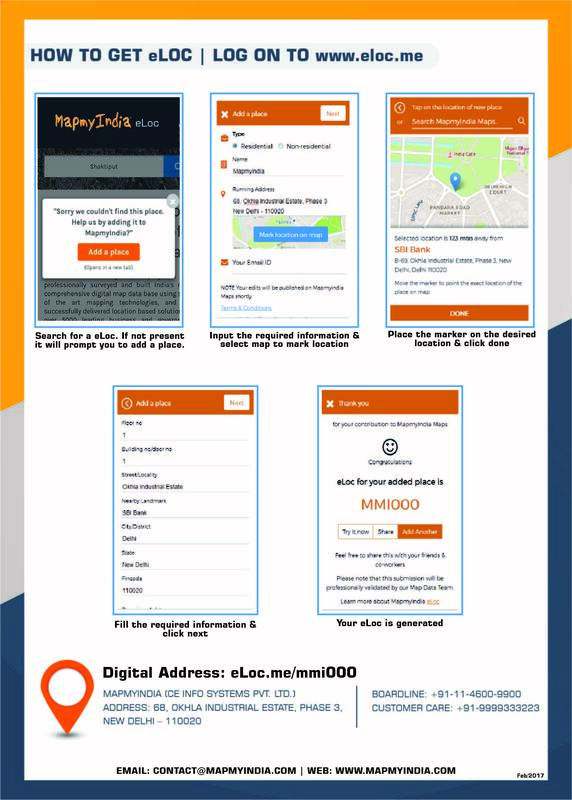 With over 200+ crore rupees of private investment into advanced mapping technology, extensive field data survey, and private-private and public-private ecosystem building, MapmyIndia has helped India leap frog in digital world with advanced location solutions. If you cannot find it, follow these easy steps to create your eLoc today! Easy steps to create your eLoc today!